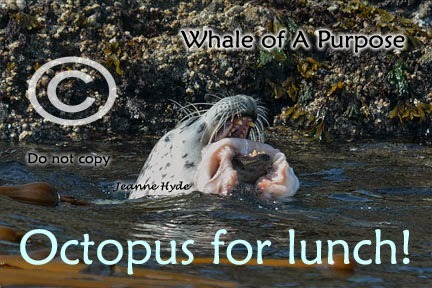 ...oh, but we came upon a harbor seal...eating an octopus! 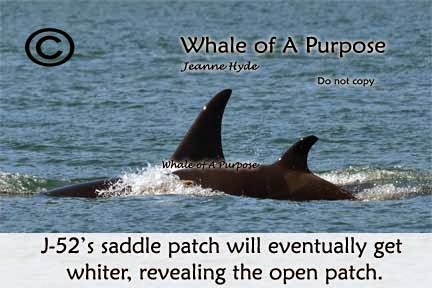 ...then we headed north to look for the two humpbacks that eluded everyone the day before...the seas were nastier up here, so when Capt. 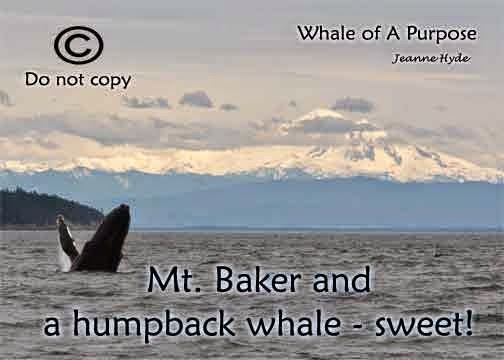 Jim spotted the blow of a humpback, and with the wind and choppy seas - what a find!...MMY0006 aka Windy was the one I saw, so I imagine BCY0324 Big Mama was there as well...somewhere in those breaking white caps! 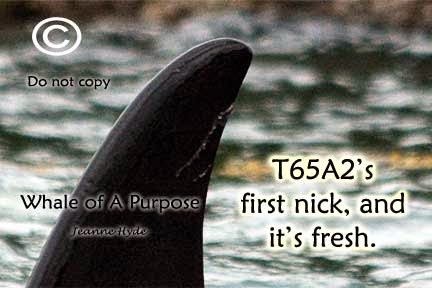 ...T65A2 - and his FIRST notch...I imagine he may get more! 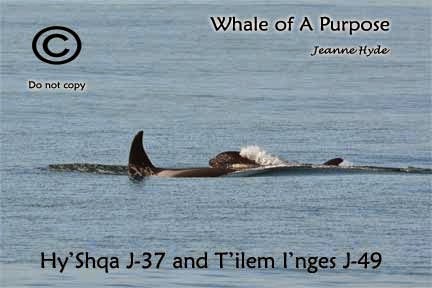 ...one of the little guys, either T65A4 or T65A5 breached a few times, giving the folks from Pennsylvania a thrill! 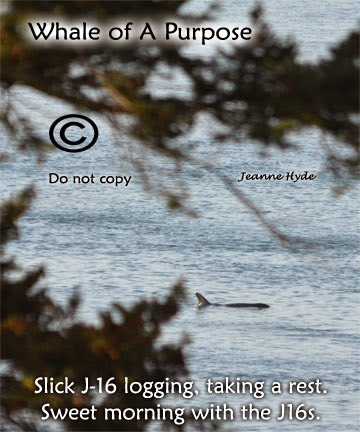 ...we heard that J Pod was on their way in...oh, goodie...except that I haven't heard any of those burp (fish sounds) at all lately...(I've been tracking a certain sound that has preceded the presence of J pod over 90% of the time this past winter). 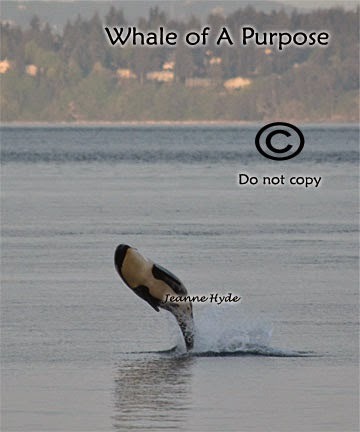 ...yesterday, Saturday, Big Mama, BCY0324, was around again...she had been here and then gone for a while...while on Maya's Westside Charters we were watching her...she was getting surface active...and raised her tail right when a sailboat was in the distance behind her...nice! 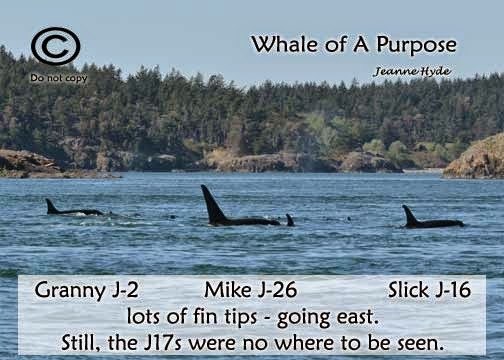 ...so today, Sunday the 26th...boats were going to look for Big Mama...would there be a fourth day in a row?? 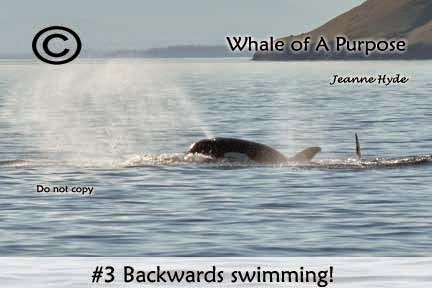 ?...thanks to Capt. 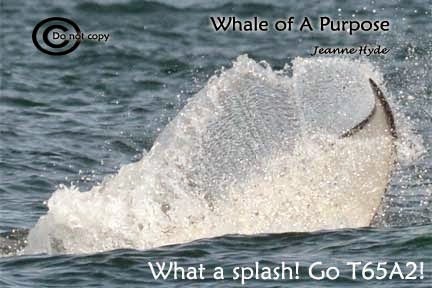 Ivan of the Western Prince - Yes! 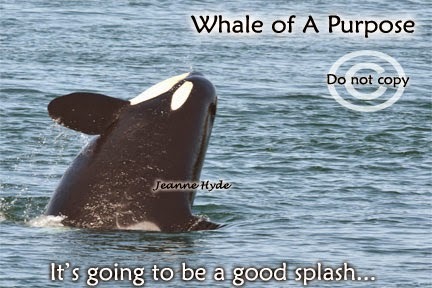 ...whatever it is just leave the salmon alone please! 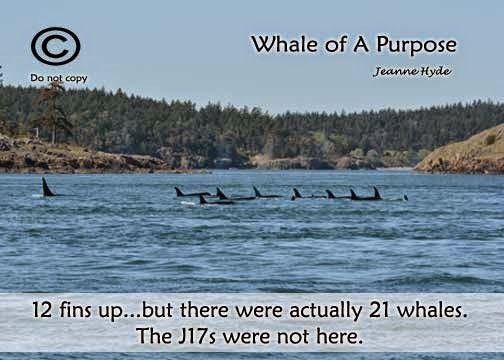 4-21-15 Where Are the J17s? 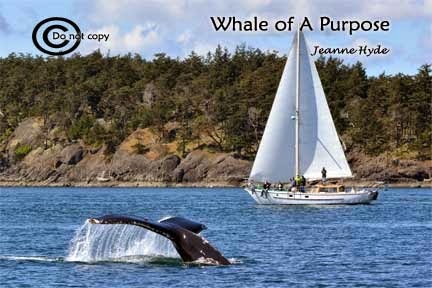 ...by the time we returned to the harbor we had circumnavigated San Juan Island! 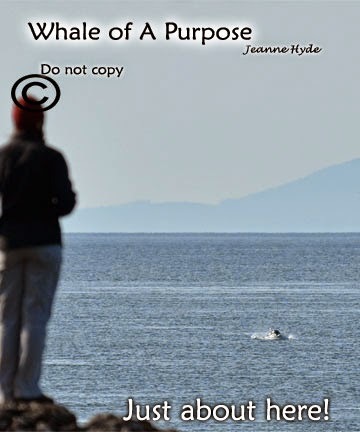 ...one fellow kept saying "there's one" and I'd reply with "that whale passed by here 15 minutes ago"...if one didn't know which whales they were looking at they might have thought they saw 40 or more whales! 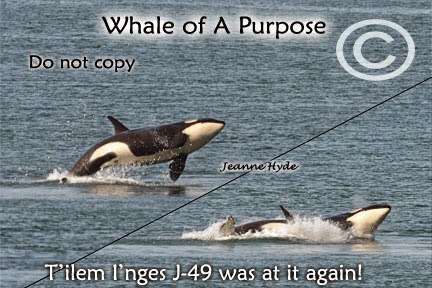 ...and as they were approaching close to shore, just up ahead, off shore, J-49 began breaching again...causing a dilemma for those who were taking pictures - which way to look??? 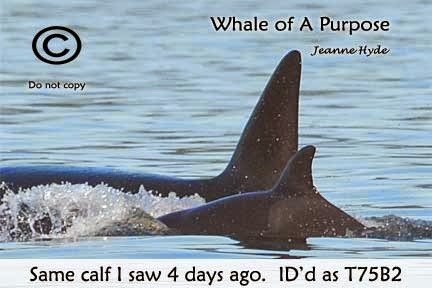 ...have you heard or read about the four lower Snake River dams? 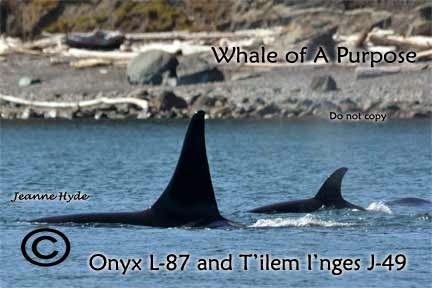 click on the link to read about the Southern Resident Killer Whale Salmon Initiative and consider signing the petition and get others to sign it too. 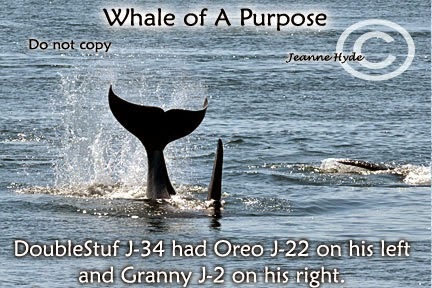 That is not the answer for immediate food for the whales, but it is a start to make sure they have it in the future. 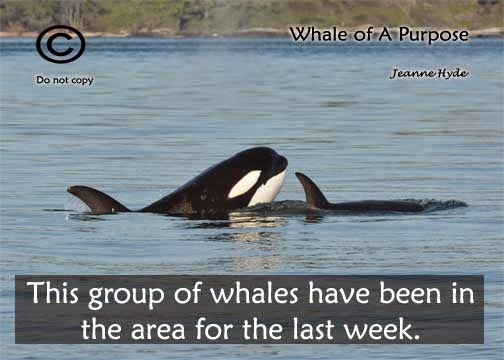 It's important for the survival of this community of orcas. 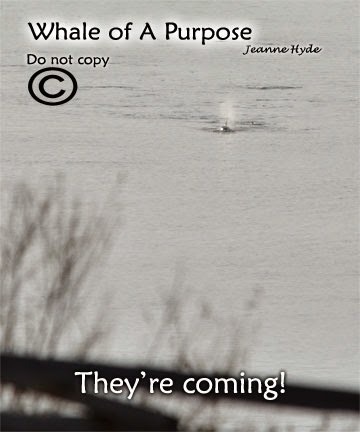 Did you see them today or at anytime? 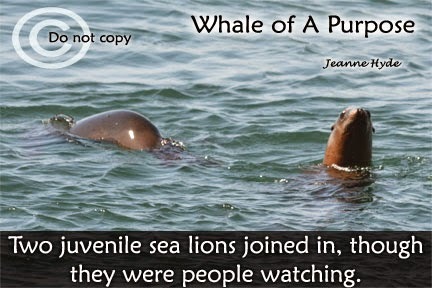 Were you touched by their presence? 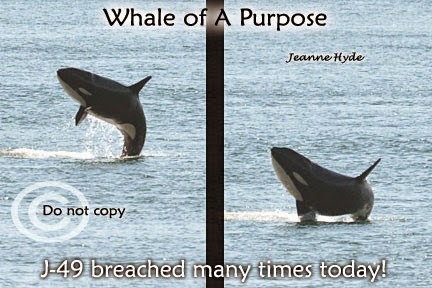 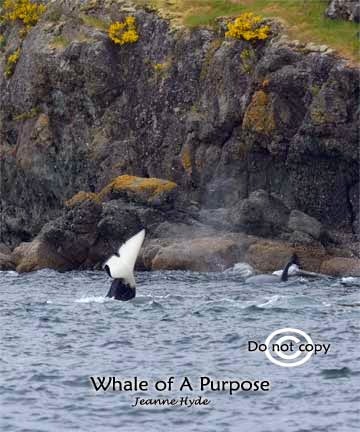 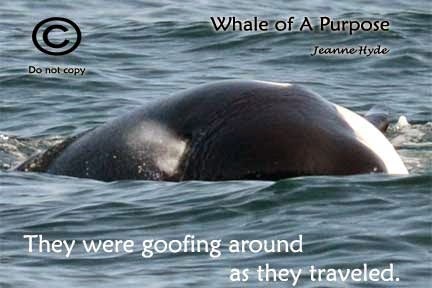 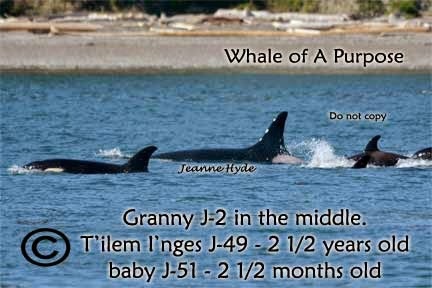 Make sure they are around for future generations of humans and whales. 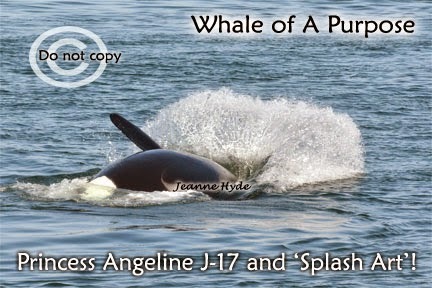 ...and all that bouncing around made picture taking a challenge! 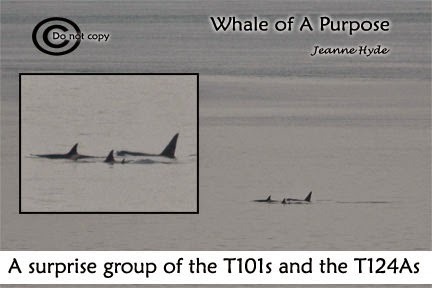 ...late in the day I get a call from Dave Ellifrit of the Center for Whale Research telling me of a large group of Transients heading across Haro Strait...I said I would look from shore to try to spot them for him as he went to the boat...well, I must say that was just too much fun...I took some pictures of the whales, as you can see they were a good distance but Dave got to them! 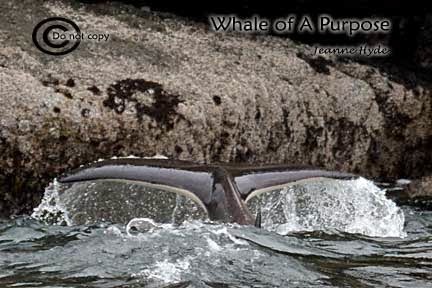 ...as with Ts, we're always looking for carnage...we didn't see any late this afternoon...but earlier in the day they did...and after we left the scene one very lucky guy did! 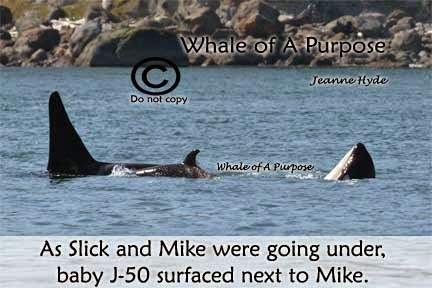 ...but they did take something while we were there because T65A was doing some backwards swimming! 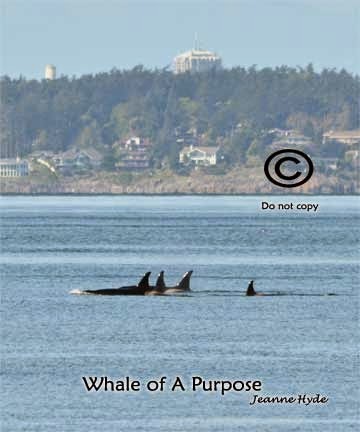 4-13-15 In Focus Pictures In Seas Like That? 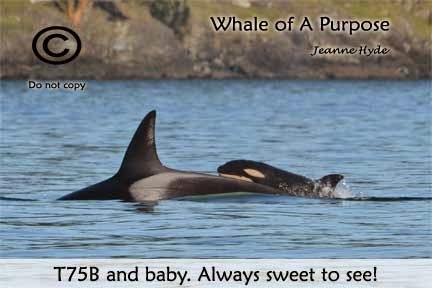 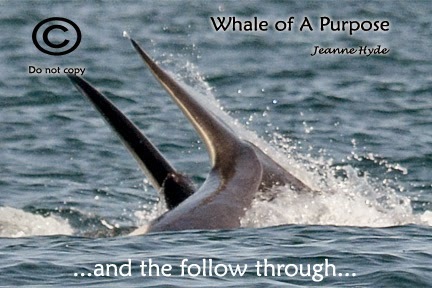 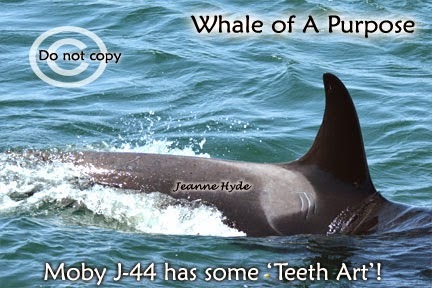 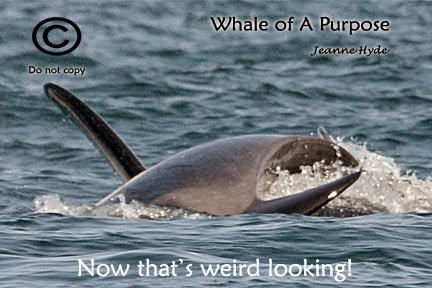 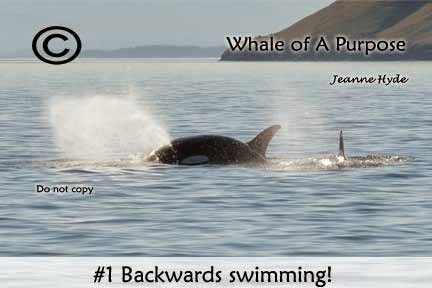 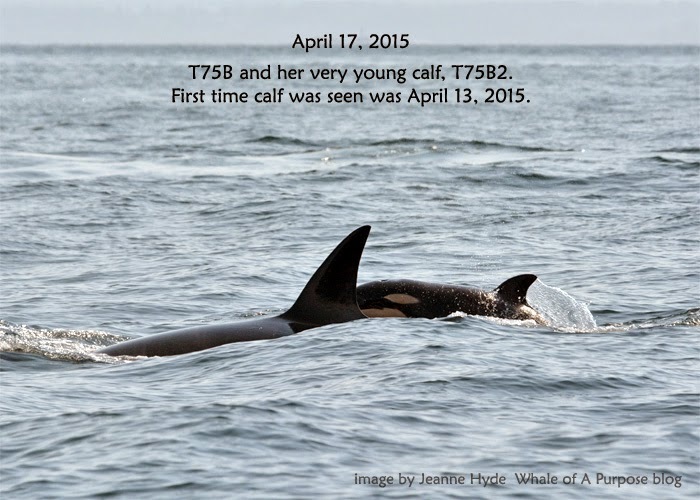 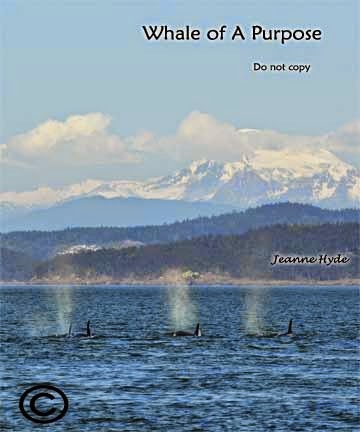 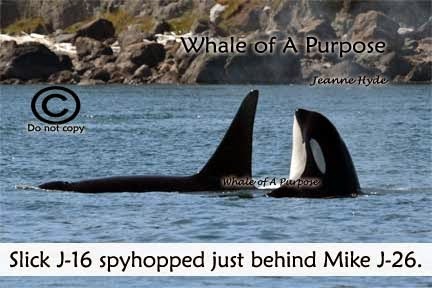 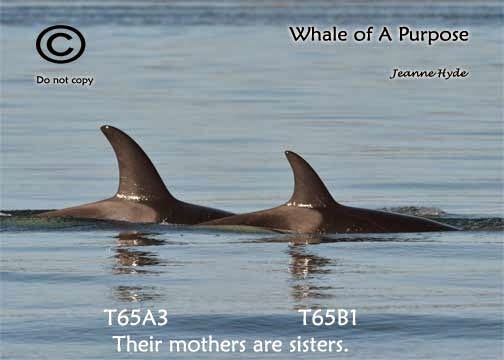 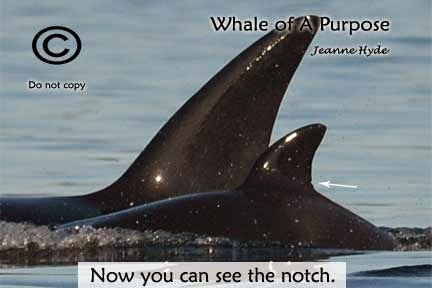 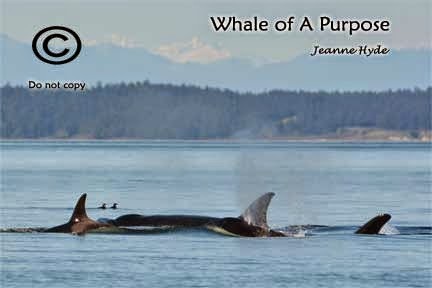 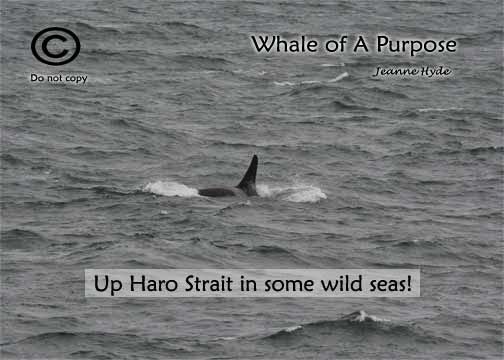 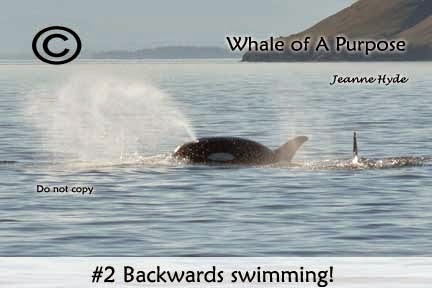 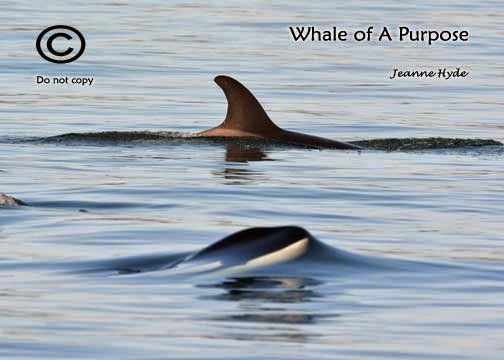 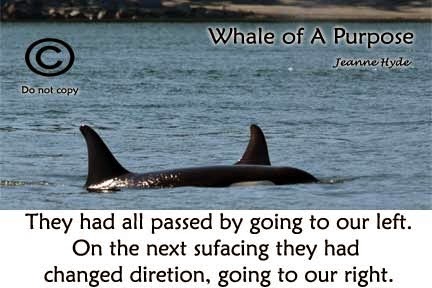 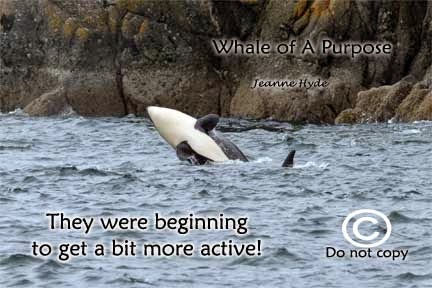 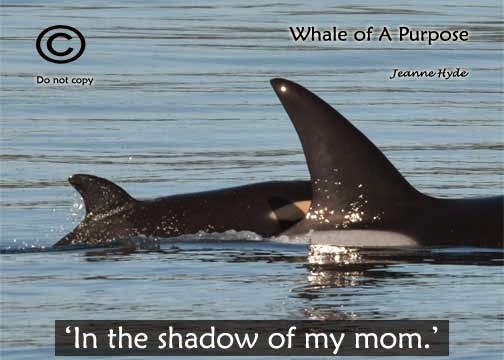 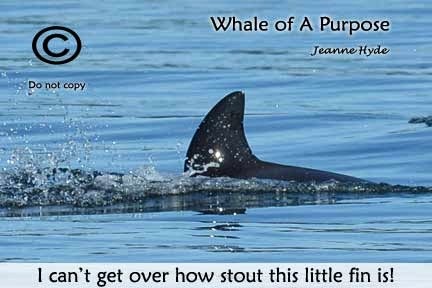 4-11-15 Keeping Up With J Pod All Day! 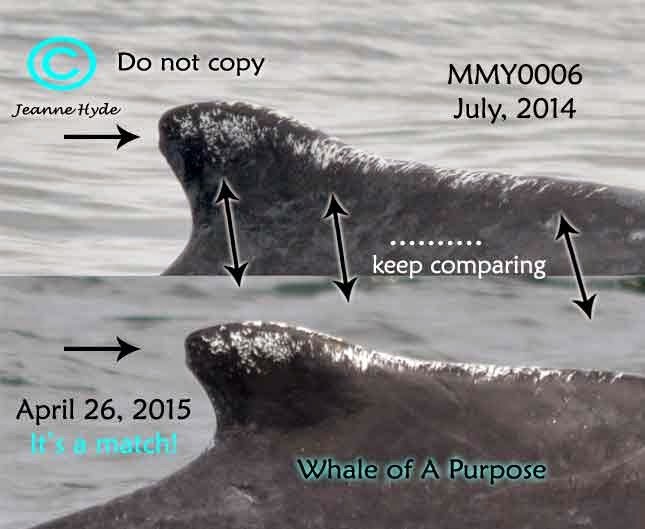 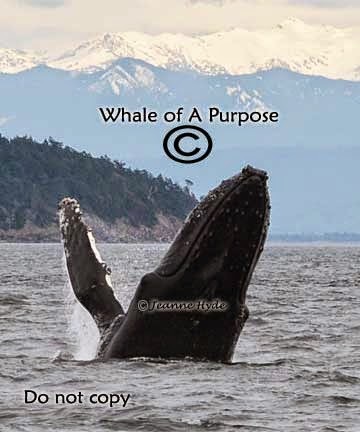 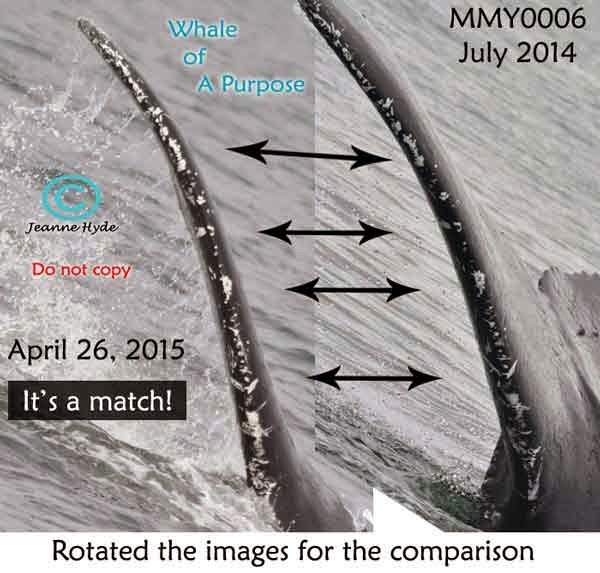 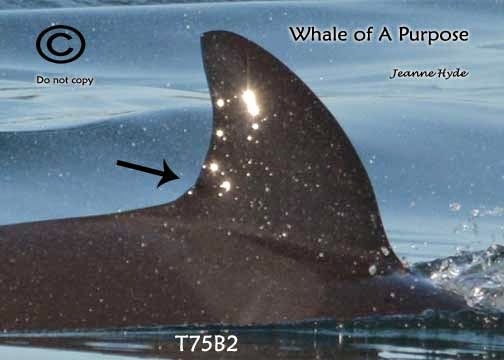 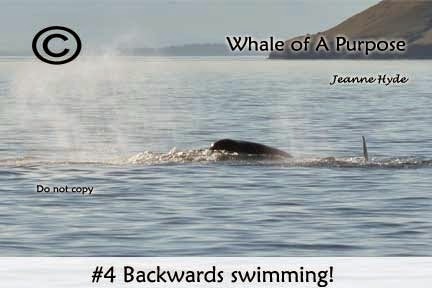 4-5-15 How Many Whales Are In San Juan Channel? 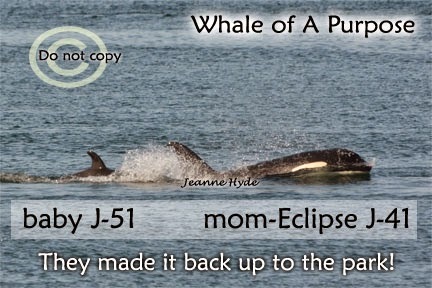 4-1-15 We Know Who Our Moms Are!